It’s been quite a journey for our Survivor Sofa – from front room, to landfill, through teardown and redesign, to design fairs and showrooms, and finally to its new home at RSA House – all in less than 6 months. And now its epic journey is coming to a TV near you. 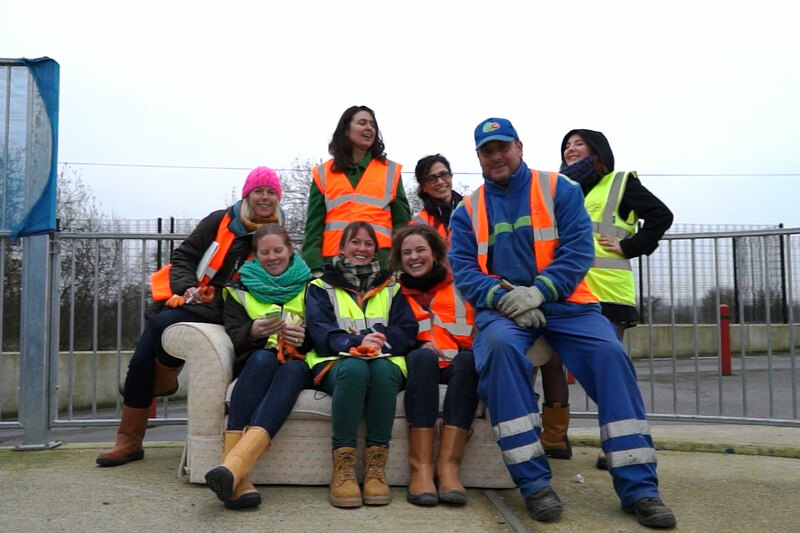 From Monday 14th December at 10pm ‘The Survivor Sofa Story’ will be broadcast on the Community Channel (available on Freeview, iPlayer, YouTube and more) weekly for the next few years – so there is plenty of time to tune in! Find out more and watch it here. Does the UK have a problem with waste sofas? And not to be outdone by its flat screen counterpart, radio has also got in on some circular economy action. Leading on from our ‘Rearranging the Furniture’ report Lucy Chamberlin, Design Resident Ella Doran and network member Kingston Community Furniture went on site for an interview with Radio 4’s PM programme. Find out more and listen to the interview here.